Hey – if you can believe it, the Type A Lady actually sat still for a couple of hours to watch the latest Kendrick Bros Film: War Room. The movie is charming and thought-provoking and, of course, convicting. You should check it out for yourself. The film inspired me to get back into my own little “War Room” yesterday. I headed to the closet. I pushed back the skirts and piles of dirty clothes (yes, I hide dirty clothes in my closet). 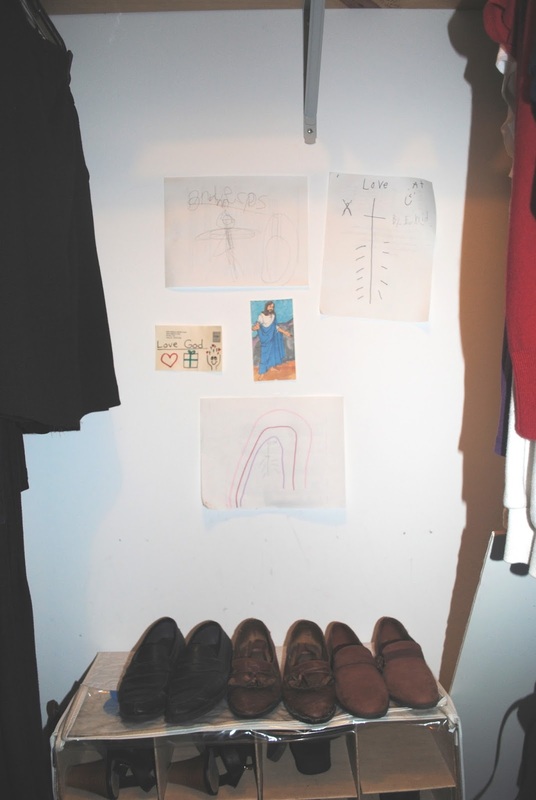 I finally found the wall and the little drawings hanging there. I remembered the drawings from long ago when my daughters were little…and excited….and interested….and still my “little” girls. There they were, right above my flea-market shoes. My girls created our own little “War Room.” 20 years ago. They decorated the walls of my closet with reminders of Jesus. I had left the pictures there, but, subsequently piled a lot of stuff in front of them. Typical. 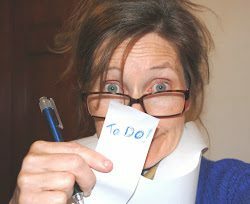 I abandoned my “War Room” long ago in favor of clutter, distraction, life challenges and, yes, lengthy lists. place. There were too many battles and bossy times, practices and prom nights, grade schools and graduations…..Who has time to pray in a closet??? The little drawings still cling to the scotch tape, however. Jesus never left me. I just left Him. Oh, I’m not totally awful, but I am totally disjointed. My prayer can be haphazard and momentary. I often cry out, but seldom truly communicate. Today….I am coming out of the closet….literally. I’m taking those sweet drawings and taping them above my desk. They’ll remind me to pray for the 26, 25 and 21 year-olds who created the artwork. I’m planting my Bible on the desktop and I’m vowing to read it before I plunk one computer key or utter one cry for help. I’m sticking up some Bible Verses and photographs. I’m bringing my War Room into the spare bedroom and I’m not looking back! If I’m going to complain about it….I’d better pray about it. If I’m going to worry… I’d better go give it to God. If I’m going to yammer about making the right choices…I’d better listen to God. – Want to join me? Go see War Room. Grab your gear. Set up your spot. Let’s go to battle! We start on our knees. ‹ PreviousDon’t Be Bummed Out When You Are Blessed!